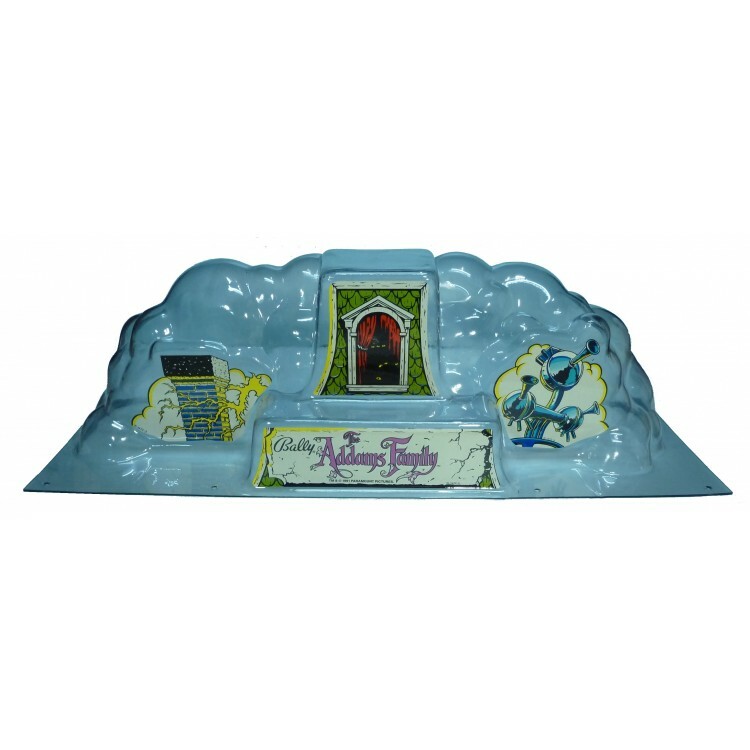 Smoked topper dome (as original) for the Addams Family pinball by Bally. Manufactured with super strong Poly-carbonate! Includes a set of original Bally NOS decals! !